Many annual deductibles, flexible spending, health savings and overall insurance benefits renew at the end of December. If your doctor has recommended an MRI, don’t wait to schedule the appointment. The first reason is the most important: your health! Your health issues can worsen if they are not identified and treatment is not delayed. By delaying your doctor-recommended MRI, you are risking more extensive (and expensive!) treatment down the road. What may be pain now, could potential turn worse with continued aggravation. The deductible is the amount of money that you must pay for your health care out of pocket before your insurance company will pay for any services. 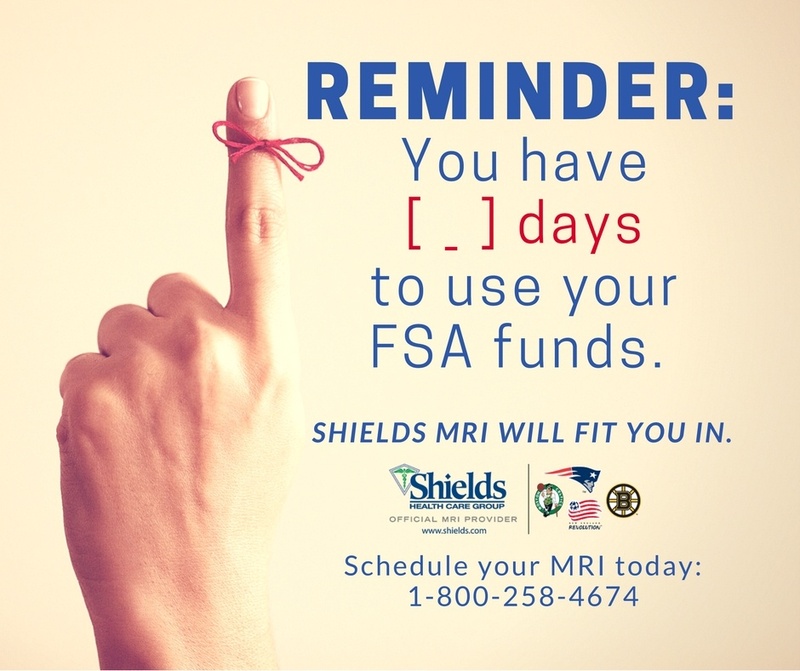 This fee varies from one plan to another and could be higher if you choose an out-of-network MRI provider. Your deductible also starts again when your plan rolls over. If you participate in a Flexible Spending Account (FSA) through your employer’s plan, time to use those dollars may be running out. Some plans require the money that is contributed to the plan to be spent by December 31, or you risk losing it. WHY SHIELDS FOR AN MRI?